She and I have both really simple personalities and we know each other way too well. If either one of us met with an untimely death, the other person would surely be able to, write the dead one's "auto"biography - complete with that person's thought process/opinions and emotions. When I needed a "male" best friend, god sent me this guy - thank you god. He is my default reviewer (and sometimes collaborator) of any major tech/non-tech idea/project that I may work on. He is the most sensible person I know - of the kind one thinks of when in a spot "what would he do if he was in my place right now?". Nirbhay and I go a long long way back. I always feel like I have known her like forever - so much so that I now actually define life as something with Nupur in it. My primary source of inspiration and life's lessons. Aastha is the bestest sister a person can have - always cheerful always bubbly - makes life such a happy place. In her own words: we are as alike as two peas in the same pod. Sometimes I think, if we exchanged places, what would give us away to our parents? only our gender! Another "ancient" guy friend, we were in school together although we bonded only in the later years - what bought us together? call it passion for technology or just plain geekiness! The best way to put it: He and I used to get punished together at school! If life were a school, I am sure we both would still be standing outside the classroom together! Standard friends forever types - to share stories with, to have fun with - she was there whenever my best memories were being created. In fact her marriage trip was the best time I ever had since like forever. Its like we both have this internal clock which timeouts when we need to catch up with each other and when that happens, I am always amazed how we find ourselves in a convenient place/time to sync up on each other's lives - sort of automatic. She is the friend who lives almost next door to me and shares my fascination with all things sci-fi - so whenever she is here, we end up catching many flicks and TV series amidst our various conversations. Total bookaholic and workaholic. Ofcourse living nearby means that we get to have our siblings play board games with us and accompany us to the movies. The only person who can beat me at "Random Talk" - its like we are trying to to compete with the title of who suffers from the most ADD. We both remember each other randomly at random times and end up talking randomly - She used to be a news reporter for Azerbaijani TV. Sneha Lele is a common best friend and audience to our combined nonsense. 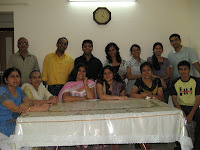 My awesome gang from EmSyS - totally stupid, totally fun. All that time at office was made bearable only coz of these guys and gals. 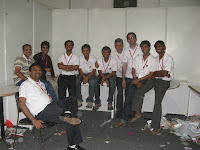 All those crazy times in the breakout area were super fun! My blue buddy. Fellow objectivist (Ayn Rand fan). We are each other's psychotherapist on call. When the world changes for the better, the chain of events that lead to it would be traced back to that fateful day we met. Chomu and the girls ki girls. My one and only social circle during the fellowship years. Reflection sessions, cookouts, night outs, scary adventure trips during the fellowship years - all with these girls. My chipku friends. My comfort zone and my discomfort zone. Parag and I have been involved in many projects together and as a team we have complemented and complimented (sarcasm) each other quite well! Dr Shauvik Roy Choudhary, Works at FullStory (local growing startup) and MoQuality (his own startup). Like me this guy has the same uncontrollable urge to help anyone and everyone. Fun computer engineer who knows it all. The guy I turn to for philosophical discussions related to engineering and ethics. He is the creator of uNiBoard. Another one of the few friends who are actually practicing "Electronics Engineering" after graduating. Superb photographer. Hardworking. Another cool friend from VESIT - best at what she does - photography and dancing. And we flunked a few exams together. She is my one stop friend whenever I have something new to share with regards to photography. I didn't know where Chembur was, she didn't know what A4 was. She and I used to hang out together pretty exclusively during the first few months at VESIT - attending all kinds of seminars and quizzes. Then I guess we just got bored of each other. But we are pretty much back in touch now. Of all the friends in college, I consider her the most photogenic. I got in touch with DVG over email during the second year at VESIT. 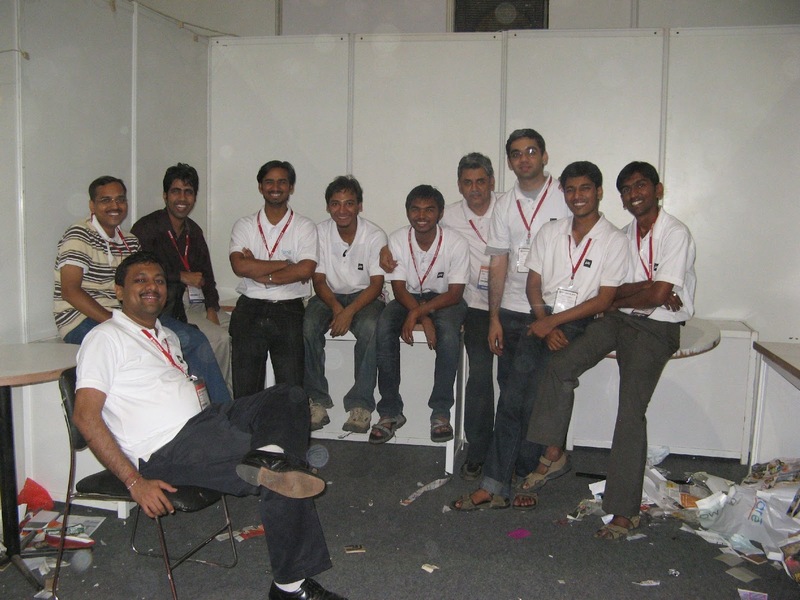 Since then we have collaborated on numerous projects - mostly all based on AVR or 8051. My mom calls him "my godfather" - an apt description.